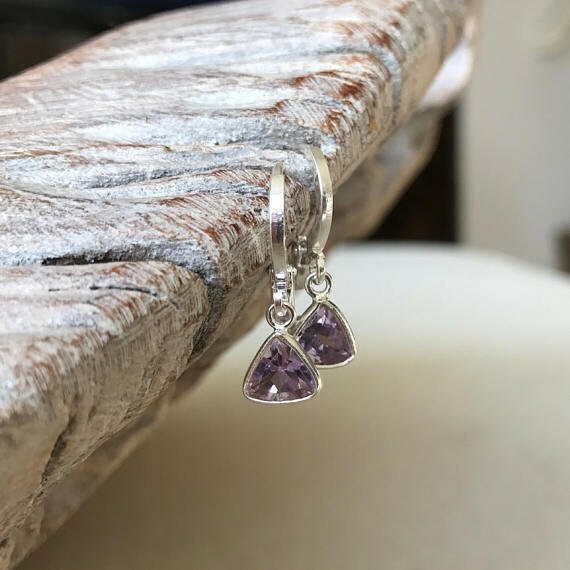 These lovely tiny faceted trillion cut silver amethyst bezels dangle from silver plated lever backs. Incredibly dainty and elegant for day or night. A perfect gift for a February birthday or just a little something for yourself! The earrings measure just under 1" from end to end. 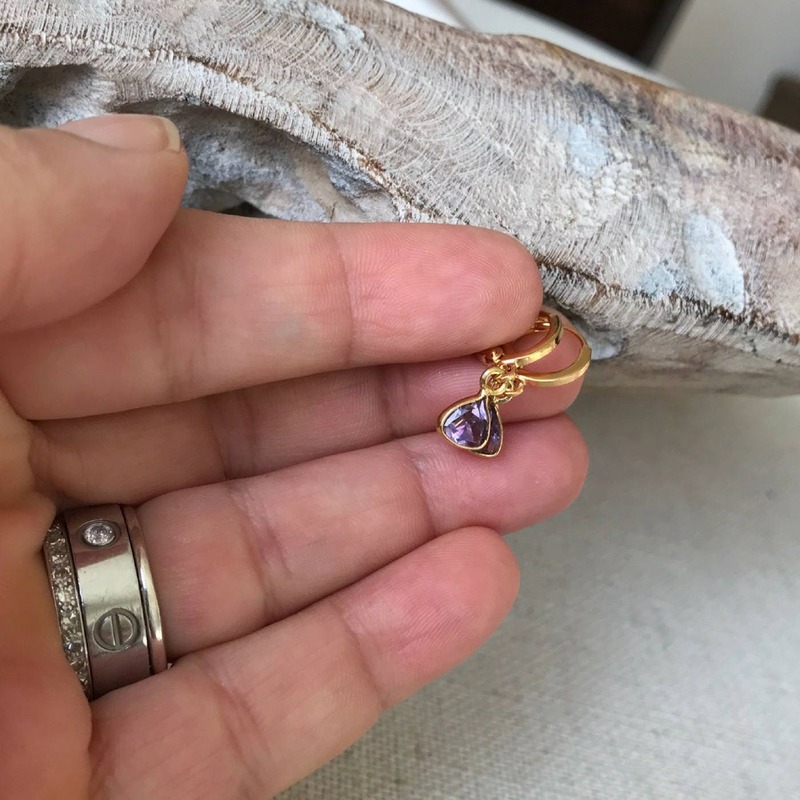 The dainty amethyst bezel triangles are approx 6mm and are faceted on both sides with a flat front and a pointed back. Earrings and giftwrap just beautiful. My wife loved her birthday present. Smaller than I expected, but that's on me for failing to break out a ruler before purchase. They are just perfect !